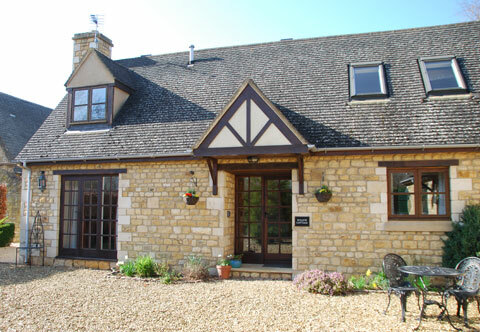 Willow Cottage is a delightful 2 bedroom award winning Cotswold cottage situated in the peaceful grounds of a 16th century manor house in Broadway. Willow Cottage is an Gold award winning Cotswold holiday cottage in the extensive peaceful rural grounds of a Cotswold manor house, which date back to the 16th century, in the Cotswolds Area of Outstanding Natural Beauty. Built of honey-coloured Cotswold stone, this delightful two bedroom cottage is located in a courtyard setting in grounds of several acres just a few minutes' walk from the centre of the beautiful village of Broadway, the nearest pub and a wide range of excellent independent shops, galleries and restaurants. Accommodation details: Door to entrance hall. Large fully-equipped kitchen/diner with pine table and chairs for 4 guests. Spacious sitting room with corner sofa, armchair and french doors to courtyard. Downstairs cloakroom with wc and basin. Stairs to first floor. Double bedroom with antique four-poster double bed, twin bedded room (with 2 full size single beds) and family bathroom with bath, over-bath power shower, wc and basin.